I would like to introduce Leica with Leica Palma Photography. She’s a natural light photographer from Woodland Hills, CA and will be doing our Valentine’s Mini Session on Sunday, 1/31. 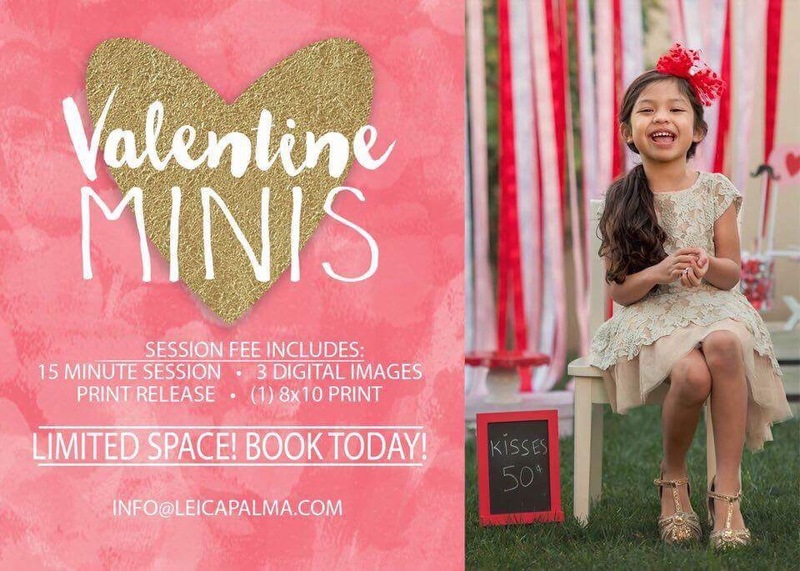 She will have a Valentine’s day-themed set and props at a location within Playa Vista. Alternate rain date is 2/13. Please make sure you are able to make both dates if the weather chooses not to cooperate with us. Only 7 spots are available. If spots fill up, please sign-up to be on the waitlist. Previous story Lyfe Kitchen Playa Vista is coming soon!